Georgia’s multi-jurisdictional drug task forces and state and local drug enforcement units face significant legal and civil challenges to several drug enforcement cases. These cases are often widely publicized and the investigative methods and techniques used during these investigations must withstand strict scrutiny from judges, juries and the public. To better prepare officers to meet these challenges, GPSTC offers a Narcotics Investigator Certification training program, which thoroughly prepares its graduates to perform as successful drug enforcement specialists responsible for enforcing Georgia Laws and the Georgia Controlled Substances Act. 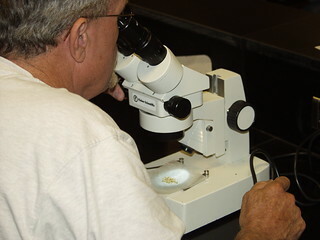 Completion of the Narcotics Investigator program leads to certification as a narcotics investigator through the Georgia Peace Officer Standards and Training Council. Students who have completed all courses or their equivalent will be able to make application to the Georgia Police Academy to take the final certification exam. The exam will consist of a cognitive test and performance test that will measure the applicant’s level of competence in each topic area. Applicants must attain a final score of 80% on both the cognitive and performance test for each topic area to receive certification. Applicants who show deficiency in a particular topic area must successfully complete a course of instruction in that topic area before the final certification exam.